Born August 13, 1805 in Hartford, Connecticut, Ashbel Smith graduated from Yale in 1824 and became a doctor in 1828. After further medical study in Europe, he decided to go to the newly formed Republic of Texas in 1837. Here, he remained a resident for life. Soon after arriving in Texas, Smith was appointed surgeon-general of the Texas Army. In spite of his medical training and experience, however, he was tapped by the government of the Republic mainly for more diplomatic roles. As charge d'affaires to England and France in the early 1840's, and as secretary of state of the Republic of Texas just prior to statehood, Smith was a strong supporter of annexation. After statehood, Smith participated in a number of roles as statesman on behalf of Texas. In 1851 he served as a commissioner from the United States to the London Industrial Exposition. The following year he accepted the role as manager of the first Lone Star Fair in Corpus Christi, lending a measure of credibility to that event. Still later, in 1878, he became honorary commissioner from Texas at the World's Exposition in Paris. 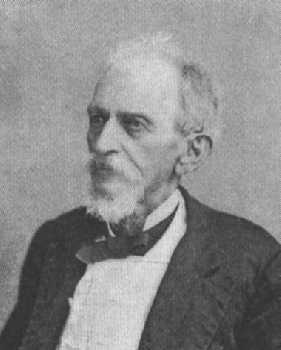 In his later years, Smith actively promoted higher education in Texas. Among other accomplishments, he helped establish the University of Texas at Austin and was named president of the school's board of regents. Smith died on January 21, 1886 at his plantation on Galveston Bay. He is buried in the state cemetery in Austin.